CARLEEN BRICE received the 2009 First Novelist Award from the Black Caucus of the American Library Association for her debut novel Orange Mint and Honey, which was also a selection of the Essence Book Club. She is also the author of Walk Tall: Affirmations for People of Color, and Lead Me Home: An African American’s Guide Through the Grief Journey and edited the anthology Age Ain’t Nothing but a Number: Black Women Explore Midlife. She lives in Denver, Colorado, with her husband and two cats. What she finds there shocks her to the very core: her mother and newborn sister were not killed in a car crash as she was told. In fact, her baby sister, Billie Cousins, is now a grown woman; her grandparents had put her up for adoption, unwilling to raise the child of a black man. Billie, who had no idea she was adopted, wants nothing to do with Trish until a tragedy in Billie’s own family forces her to lean on her surprisingly supportive and sympathetic sister. Together they unravel age-old layers of secrets and resentments and navigate a path toward love, healing, and true reconciliation. 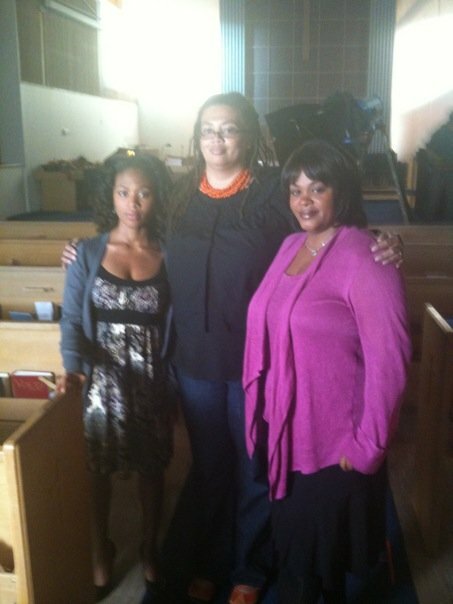 Lifetime optioned Orange Mint and Honey for a film for television called “Sins of the Mother” starring Jill Scott. Broke and burned-out from grad school, Shay Dixon does the unthinkable after receiving a “vision” from her de facto spiritual adviser, blues singer Nina Simone. She phones Nona, the mother she had all but written off, asking if she can come home for a while. When Shay was growing up, Nona was either drunk, hungover, or out with her latest low-life guy. So Shay barely recognizes the new Nona, now sober and with a positive outlook on life, a love of gardening, and a toddler named Sunny. Though reconciliation seems a hard proposition for Shay, something unmistakable is taking root inside her, waiting to blossom like the morning glories opening up in Nona’s garden sanctuary. Soon Shay finds herself facing exciting possibilities and even her first real romantic relationship. But when an unexpected crisis hits, even the wise words and soulful melodies of Nina Simone may not be enough for solace. Shay begins to realize that, like orange mint and honey, sometimes life tastes better when bitter is followed by sweet.